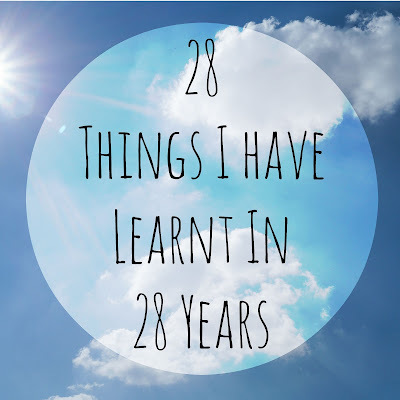 Today I turn 28! This isn't a post to moan about how old I am getting, as I don't think I am or how old I am feeling. 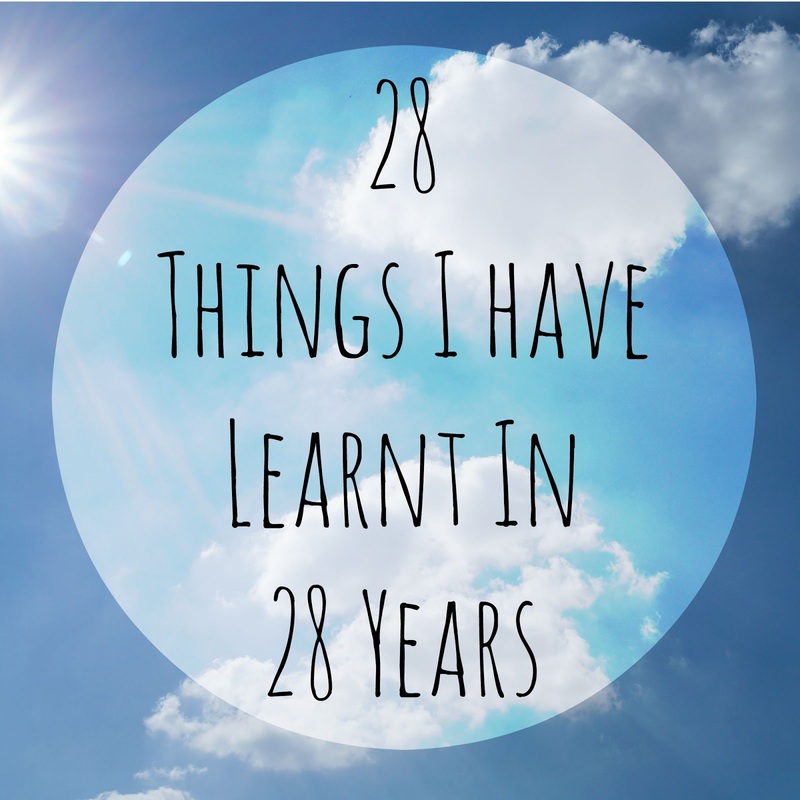 I thought I would write a list of 28 things that I have learnt in my 28 years of life. 2. Having a Mum & Dad who get divorced isn't that bad, they end up much happier. 3. Watch out where your going when driving. If you don't you will end up bumping your car, or writing it off (it was the sun's fault lol). 4. Don't drink Sambuca, it's vile and will make you sick, in a club, in Cyprus! 5. Along the same lines, don't drink 5 Jager bombs in one go, again you will be sick and get a very very bad hangover. 6. Spend as much time with your Grandparents as you can and cherish them, because one day they wont be there to give you a hug anymore. 7. Don't let a boy tell you want you can and can't do, be your own person. 8. Eat what you love, in moderation, because if were honest life is too short to eat a lettuce leaf for lunch. 9. Let your hair down every once in a while. 10. Travel while you are young or if you can't make sure you travel at some point in your life. You will have so much fun while wondering around places that you have no idea of where you are going. 11. Let your children be little, because soon they will be big and you will cry. 12. Grow your own cucumbers, they taste so much better than the shop bought ones. 13. Dance. Whenever and wherever, even if you feel silly because dancing makes you feel so much better. 14. Same as above, sing. Whenever and whenever. Even if you can't sing a single note. 15. Laugh even when you want to cry, it helps, it really does. 16. Try not to cry at everything because you will be called a cry baby. 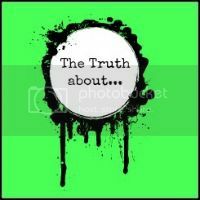 I have toughened up since having the boys but I used to cry at EVERYTHING! 17. Eat pancakes for breakfast at least once a week. I am yet to do this but I will do this by the time I am 30, preferably on a Saturday morning, cooked by the hubby. 18. 1001 is the god of all carpet cleaner, it cleans up everything and anything. 19. Ironing is not fun, but something that has to be done when you have a husband that wears a new shirt every day. 20. Make sure you get outside everyday, because a day at home will make you go stir crazy. 21. Don't beep at white van drivers that cut you up, or any vehicle for that matter, as they may stop the van, get out and shout abuse. Even if it was their fault for the beeping! 22. Listen to what Peppa Pig says, she makes some valid points sometimes. 23. Stay in your pyjamas until lunchtime at least once a week, go one better every once in a while and stay in them all day. 24. Talk to your Mum at least once a day, even if its just a text. She will make everything better. 25. Don't turn away help when you have children. People aren't being rude they are there to help. 26. Don't be afraid to ask for help, in any situation however silly you may think it is. 27. Kiss your children goodnight, every night. 28. Drink prosecco with Rhubarb cordial - you haven't lived until you have. Happy birthday... you are so very right... lettuce for lunch is such a wasted opportunity!! Happy birthday! Yes labour does hurt haha. Sambuca, mmm mmmm haven't had that in years but I suspect I would probably vomit after one shot these days!! and I carry out number 27 religiously without fail.